The fourth annual Korean International Boat Show will be held June 8-12 at the Jeongok Marine Complex in South Korea. This area of the western coast is the industrial and commercial center of Korea and is scheduled for marine-related developments that include a marine industrial complex, new marinas with associated retail and support infrastructure and new tourist attractions that include the biggest Universal Studios marine theme park ever built, organizers said. Gyeonngi Province, where the show will take place, is "the major energy" behind the new Korean leisure marine industrial revolution, organizers said. The show is close to Hwaesong City, about 60 miles west of Seoul City center and within easy reach of more than 24 million potential boaters. Tim Coventry, a British-based industry veteran who assists the government in its efforts to promote recreational boating, was in the United States last week attending the Palm Beach (Fla.) International Boat Show. He met with industry officials in Florida to discuss their attending and exhibiting in South Korea. "There&apos;s a small scattering of people who are really, really looking for new opportunities," he told Soundings Trade Only. "The boats that I think are prime target to get into Korea are the up-to-10 meter, sportfishing-type boats. It&apos;s the product that will catch on the fastest because they&apos;re quite easy to use and understand. They&apos;ll do all the things that a new Korean boater will want them to do and they&apos;re affordable." Coventry acknowledged that the show is a tough sell, as many vendors seemed satisfied with staying in the domestic market and might not want to take a risk or spend money. Also, it is late March, possibly too late for some companies to make those sorts of travel plans. "I got very good interest from three companies [last Thursday] and I think that one of them will exhibit. Two will come as visitors, just to look at the market and meet people," he said. The show offers an incentive package for exhibitors or industry visitors, which includes free hotel accommodations and all local transportation. Trade buyers or potential investors can receive as much as a 50 percent contribution toward airfare up to $1,000. Coventry said there&apos;s a rush to build marinas in South Korea with the government and private developers sponsoring projects. 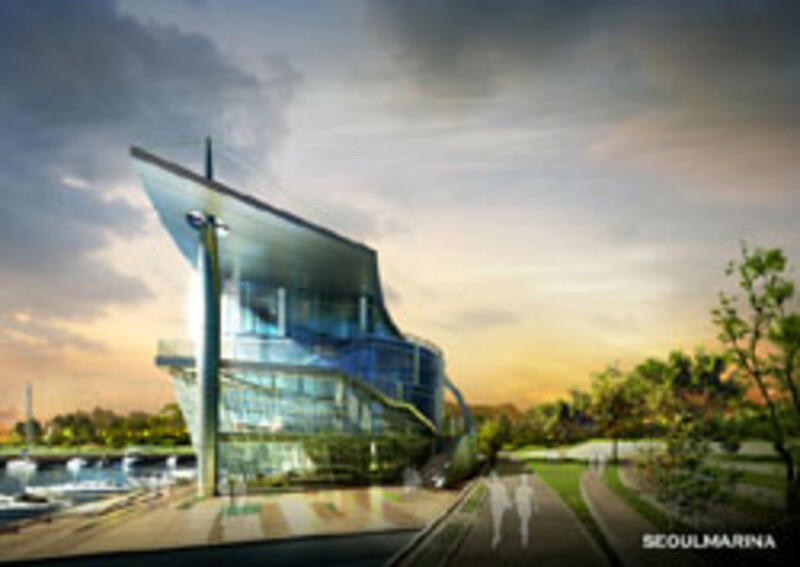 A state-of-the-art marina recently opened in Seoul on the Han River and all 60 slips are sold. A second phase of construction is planned for that marina and two other marinas are under construction in that area. Also, he noted, Korean laws now allow foreign ownership of coastal lands. "There&apos;s a real opportunity now," he said. "I think that over this next year the people who get out there and get going quickly are really going to do well." Those interested in information about the show can e-mail Coventry at twcov@aol.com.